You may use sugar on a daily basis by adding it to your recipes and hot beverages to make them sweeter, but there's much more to this white substance than its sweet flavor. Plus, not all sugars have the same chemical properties. While all sugars are soluble, not all sugars are reducing. To understand why sucrose (that's the stuff you add to your favorite hot beverage) is a non-reducing sugar, you have to know the difference between reducing sugar and non-reducing sugar. Sucrose is a non-reducing sugar because its chemical structure does not allow certain organic compounds to form a hemiacetal. Sugar is a natural carbohydrate that provides the body with energy. The most common sugar in the body is glucose, which plays an important role in the function of the brain, organs and muscles. Sucrose exists naturally in foods and breaks down in the body in the same way as glucose. 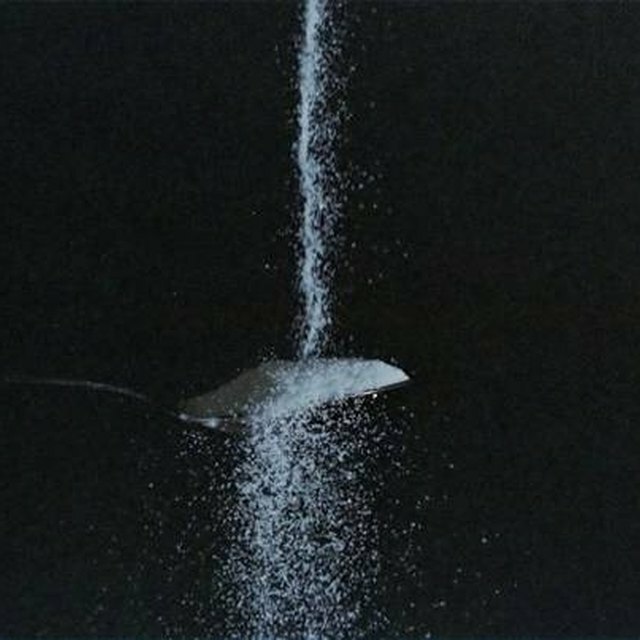 All the sugar you have in your pantry, such as caster sugar, icing sugar and demerara, is a manufactured form of sucrose. A reducing agent is a compound (like sugar) or an element (like calcium) that loses an electron to another chemical type in a redox chemical reaction. Reducing sugars, like glucose and lactose, have free ketone or aldehyde functional groups, which enable the formation of a hemiacetal, a carbon connected to two oxygen atoms: an alcohol (OH) and an ether (OR). You can oxidize a reducing sugar with mild oxidizing agents, such as metal salts. Non-reducing agents don't have free ketone or aldehyde groups, and therefore contain an acetal instead of a hemiacetal. An acetal has two O-R groups, one –R group and a –H atom attached to the same carbon. (The key difference between an acetal and a hemiactal is that in a hemiacetal, an –OH group replaces one of the –OR acetal groups.) A sugar without a hemiacetal is non-reducing because it does not behave as a reducing agent toward oxidizing metal salts. Sucrose is one example of a non-reducing sugar. Different tests can work out whether a sugar is reducing or non-reducing, by detecting the presence of free aldehyde or ketone groups. The Benedict's test heats a mixture of Benedict's reagent (a deep-blue alkaline solution) and sugar. If a reducing sugar is present, the reagent changes color: from green to dark red or rusty-brown, depending on the quantity and type of sugar. If you add a non-reducing sugar, like sucrose, the reagent remains blue. The Fehling test involves two reagents: a clear blue solution containing copper sulphate and a colorless solution containing sodium tartrate. You add both solutions to the sugar and place the entire mixture in boiling water. If the sugar is reducing, a brick red precipitate forms. If you add sucrose or another non-reducing sugar, the mixture stays clear blue. Gillespie, Claire. "Why Is Sucrose a Non-Reducing Sugar?" Sciencing, https://sciencing.com/sucrose-nonreducing-sugar-5882980.html. 27 April 2018.